Glass boards | 2×3 S.A. Magnetic glass board combines perfect design, saturated colours and elegance. Ideal for office, restaurant, kitchen, hall, also for living room or bathroom. The board is made of glass (covered with paint on the other side) and galvanized sheet bonded together. Dry-wipe properties let you make notes or decorate that can be changed whenever you need. Easy mounting. 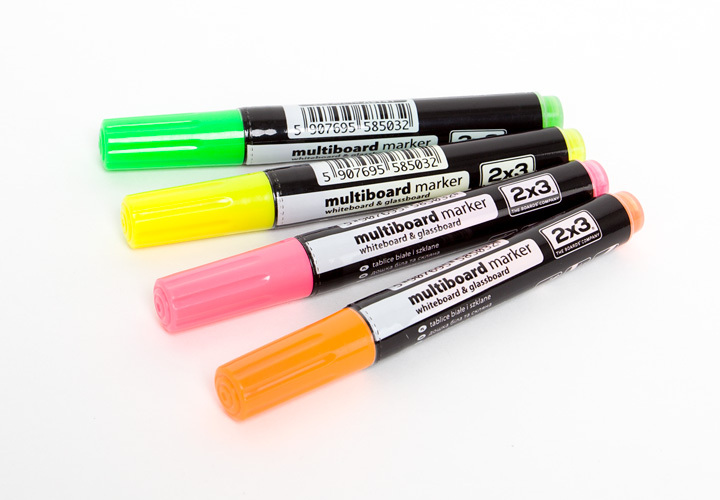 In our offer also available accessories for glass boards: magnets, markers (black, white) and markers (4 colours). magnetic surface, made by black plastic..